Denali national park is the most popular well known national park in Alaska. The showpiece of the park is eponymous Mount Denali, which is the highest mountain in North America. Originally called Mount McKinley National Park, it is a popular trip addition to people going on cruises in SE Alaska. It is a great place to view wildlife. During the 3 days I was in the park, I saw grizzly bears, moose, sheep, and caribou. Part of the park’s popularity is due to its accessibility. 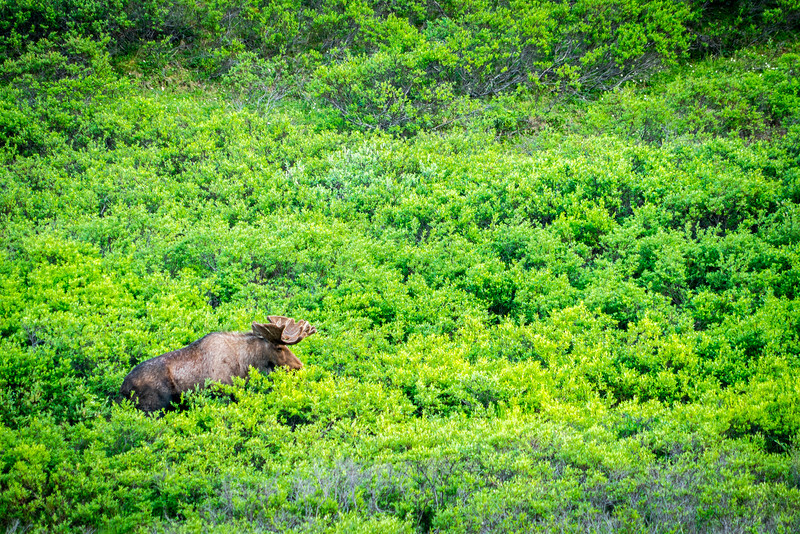 Where many of the parks in Alaska can only be visited by bush plane, Denalis is accessible by both road and rail and lies between Alaska’s two largest cities: Anchorage and Fairbanks. The Denali National Park is a US national park located near Healy, Alaska. It was established in February 1917 as Mount McKinley National Park and is one of 24 US National Park Service sites in Alaska. This park spans over 4.7 million acres in land area. The preserve, adjacent to the park, is 1.3 million acres in size. The Denali National Park is the most visited national park in Alaska with over half a million visits annually. This national park and preserve are located within the Alaska interior. It is centered on Denali, which is the highest peak in North America. Not only is Denali the highest peak in North America, but it is the highest peak in the world when measured from base to summit. Mountains like Everest sit on very high plateau, whereas the base of Denali is much closer to sea level. The history of human habitation in Denali and its surrounding areas date back to 11,000 years ago. The documented sites of human settlement are outside the park boundaries (about 8,000 years ago). 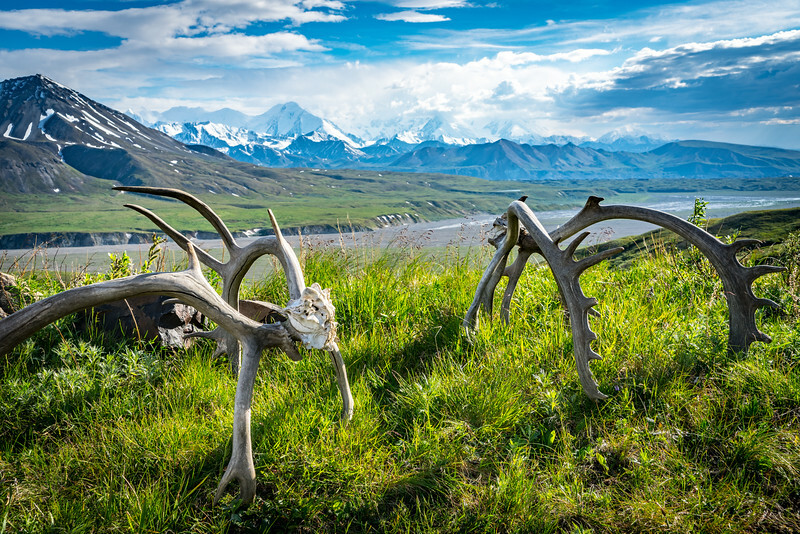 There are also several archaeological sites that are found within and just outside the boundaries of Denali National Park. Most of these settlements are described by archaeologists as hunting camps; therefore, little is known about the earlier settlers in the area to provide cultural context. It was in 1906 when the original idea to preserve the area by naming it a national park was proposed by conservationist Charles Alexander Sheldon. However, it wasn’t until 11 years later (in 1917) when the proposal was finally enacted by Congress and it was created as Mount McKinley National Park. President Jimmy Carter designated a separate Denali National Monument in 1978. The naming of the park has always been controversial. The word “Denali” has been used by local Athabaskans as it means “the high one” in their language. 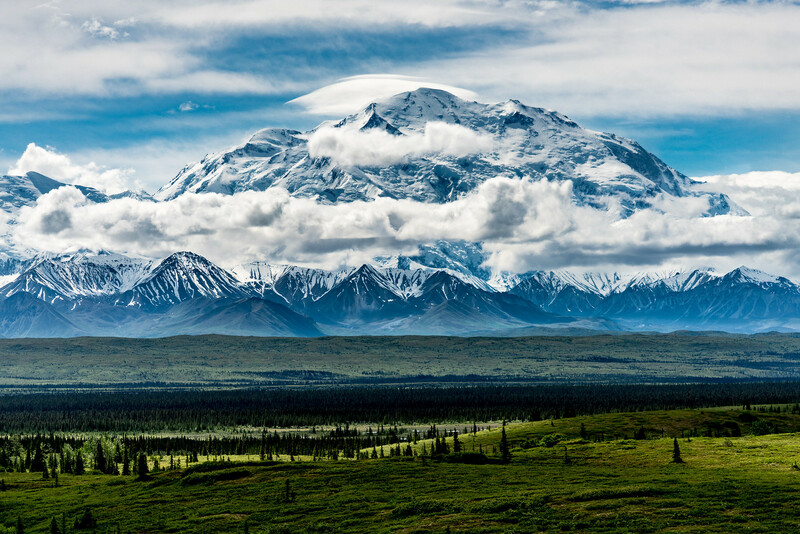 Even as Europeans settled the area, they used “Denali” as the name of the mountain. It didn’t receive the name “Mount McKinley” until 1897, after the election of President William McKinley. Mount McKinley was a term used outside of Alaska for the mountain, and Denali was the term used within Alaska. In 1980, when the boundaries of the park were expanded by President Jimmy Carter, the name was changed to Denali National Park and Preserve. It wasn’t until 2015 when President Barak Obama ordered the US Board of Geographic Names to change the name of the mountain to Denali. Prior to that, it was called Denali on all Alaskan state maps and documents. Denali has one road which enters the park, which is aptly known as the Denali Park Road. The road extends 92 miles into the park. Only the first 15 miles of the road can be driven by private vehicles. Beyond that point, you must take one of the many buses which go into the heart of the park. Busses can be boarded at the park visitor center and will go varying distances into the park. They can drop you off and pick you up at designated visitor points along the road. Buses will often stop along the road to see wildlife which may appear. 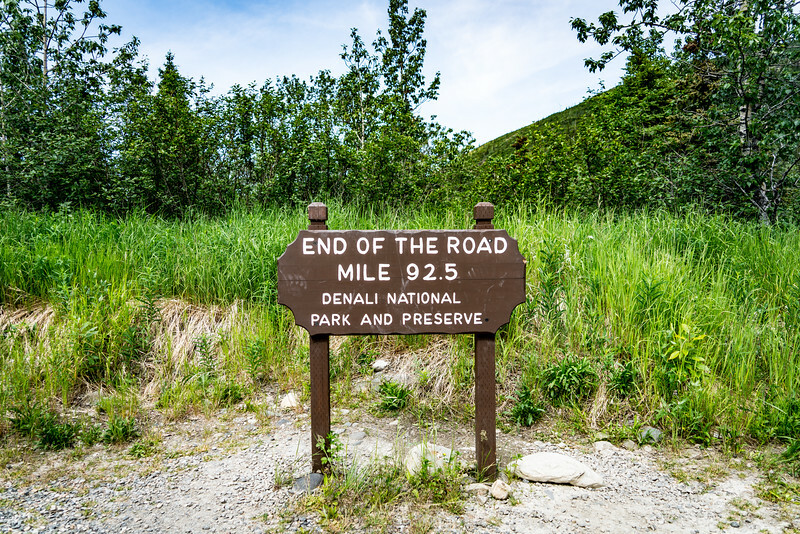 There is an annual lottery to allow private vehicles on the Denali Park Road. The lottery usually begins in May and it allows up to 400 private vehicles per day to drive the road during a 5 day period in September. Information on the road lottery can be found on the National Park website. Most visitors to the park actually don’t get to see the summit Mount Denali because it is covered in clouds 70% of the time. That means if you want to really see the mountain, plan 2 or 3-day trip and make the effort to go down the Denali Park Road as far as you can in one of the buses. Dozens of mountain climbers attempt to summit Denali each year. The most popular time of year is May which is best for weather. Only about half of those who attempt the summit are successful, which results in an odd fact. The odds of climbing the mountain (50%) are better than the odds of seeing the mountain (30%). 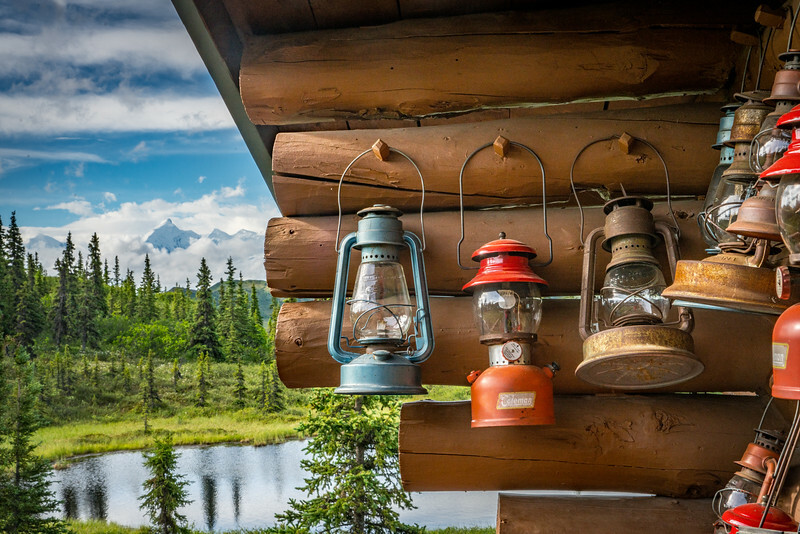 For the ultimate Denali experience, I highly recommend staying at Camp Denali. Camp Denali is located within the park boundaries and is one of the only non-camping options in the park. Established in 1951, it was originally built outside of the park. When the park boundaries were expanded in 1980, the Camp was grandfathered and allowed to continue to operate. Camp Denali allows you to stay in the heart of the park without having to take the long bus trip every day. A major reason why Denali is the most visited park in Alaska is that it is the only national park which is connected by both road and train. It is approximately a 4-hour drive from Anchorage on Alaska Highway 3, and a 2-hour 15-minute drive from Fairbanks along the same highway. The park is also a stop on the Alaskan Railroad which goes between Fairbanks and Anchorage. It’s funny to know that you can or cannot drive your private car in the National Park based on the results of a lottery :) But it’s a good way to limit the number of cars. Thanks for sharing so much information. Alaska always reminds me of that TV series, Northern Exposure :) But I know one thing for sure – I wouldn’t mind at all seeing the mighty Denali! Thanks Gary. I’ve just read through a few of your Alaska posts and Alaska is now firmly on the upcoming travel list. This lottery idea is hilarious, never heard of such thing before! Also, amazing landscapes on your photos! Very nice! Great post, so much useful information on the Denali National Park. The photos are brilliant too! Thank you for this!